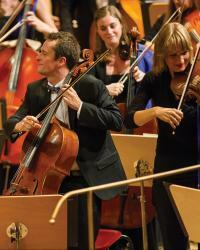 The European Youth Orchestra brings together talented musicians from across the European Union. Credit: Peter Adamik. The orchestra’s 3,000 alumni have all come through its rigorous, annual audition process conducted in all (currently 28) EU member states, and many are now notable conductors, soloists, teachers, and instrumentalists working with the major orchestras of Europe and the world. 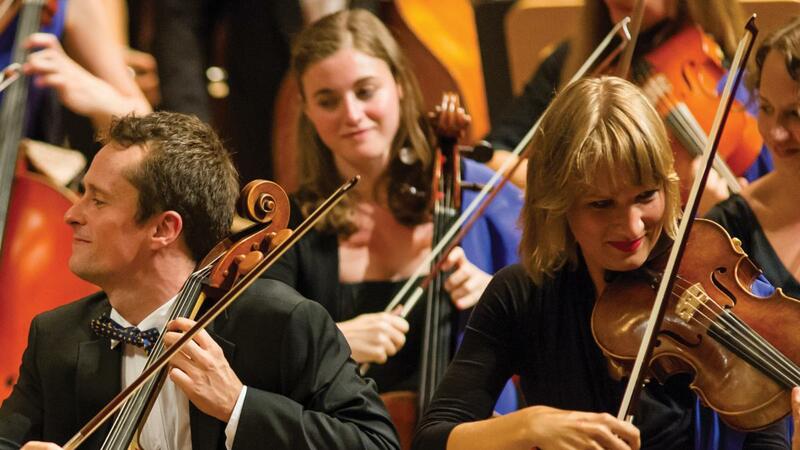 The EUYO has received funding from the Leverhulme Trust over the past ten years, including an Arts Scholarship grant of £64,104 in 2013, which the orchestra has used to support a regular Leverhulme Summer School. The Summer School has seen ninety-one talented individuals benefit from its teaching. In 2017 in the full Orchestra there were ten previous Leverhulme musicians with an additional one who joined the 2016 season as double bass tutor (Romanian double bass player Andrei Mihailescu: Leverhulme 2008) and one who will join an orchestra of EUYO alumni playing alongside the Tonkünstler-Orchester Niederösterreich at Grafenegg in the summer of 2018 as part of Grafenegg Festival (Bulgarian cellist Alexander Dimitrov: Leverhulme 2009). Each season, the EUYO gives awards, which reward a variety of skills ranging from musicianship to the creation of an atmosphere of harmony and understanding. In 2015, Danish trumpet player Victor Koch Jensen (Leverhulme 2010) was awarded The Lionel Bryer Memorial Fund Award.